. . .P> Monnie gave her a leather string with a lucky stone tied to it. Koolee put that on the bear's head too. Then she said, "There! In five days' time the bear's spirit will give the shadows of these things to your grandfather. Then we can eat the head, but not until we are sure the bear's spirit has reached the home of the Dead." 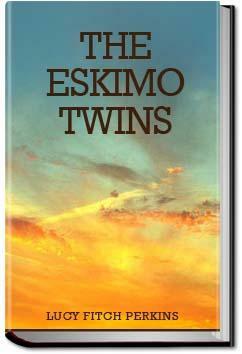 "That is well," the Angakok said to the twins, when Koolee had finished. "Your grandfather will be pleased with your presents, I know. Your grandfather was a just man. I knew him well. He always paid great respect to me. Whenever he brought a bear home he gave me not only a hind leg, but the liver as well! I should not be surprised if he sent the bear this way, knowing how fond I am of bear's liver."